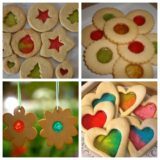 Particularly in the winter when the cold weather keeps us inside, we love to get creative with the materials we use in crafting. 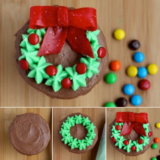 We do a lot of crafting all year round, but winter is the perfect time to try new things. The only issue is that it’s so miserable outside that we don’t always want to leave the house, so lately we’ve been getting crafty by a lot of the stuff that’s already here. What’s the latest thing we’ve tried out, you ask? 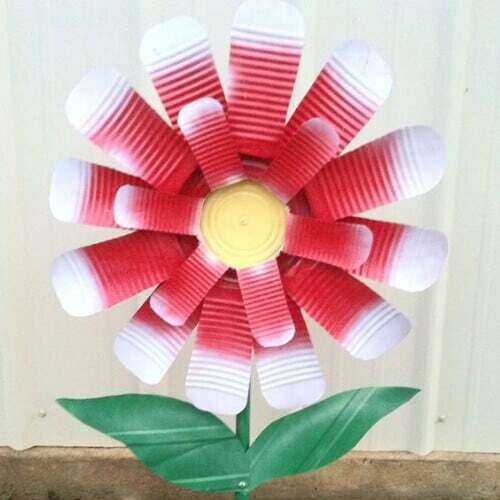 Well, we actually reached into our recycling box, grabbed an old tin can, and tried our hand at crafting with tin! 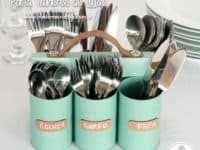 Just in case you’re as interested in the idea of crafting with tin and tin cans as we were, if not more, here are 15 of the very best ideas that we’ve come across in our search for inspiration. Are you the kind of DIY lover and crafting enthusiast whose best or favourite skills lie in the painting department? 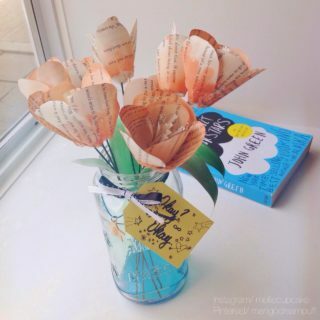 Maybe you’re just fond of flowers and you like to display them in all kinds of different ways. 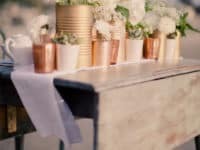 Either way, Shelterness has a great idea that involves painting and copper plating tin cans to be used as floral vase centrepieces. 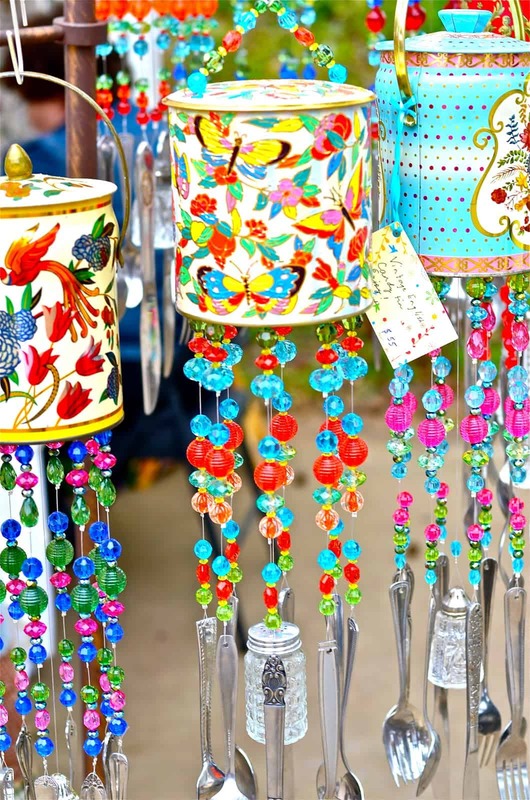 Are you quite interested in the idea of painting tin cans and turning them into other things but you’re not sure you need more centrepieces or vases? 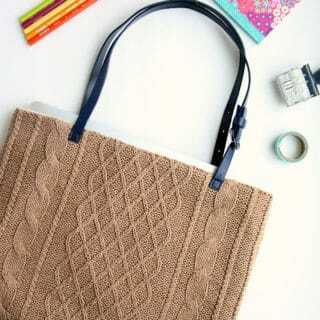 Then perhaps you’d prefer to make something practical that you can use in your house each day. 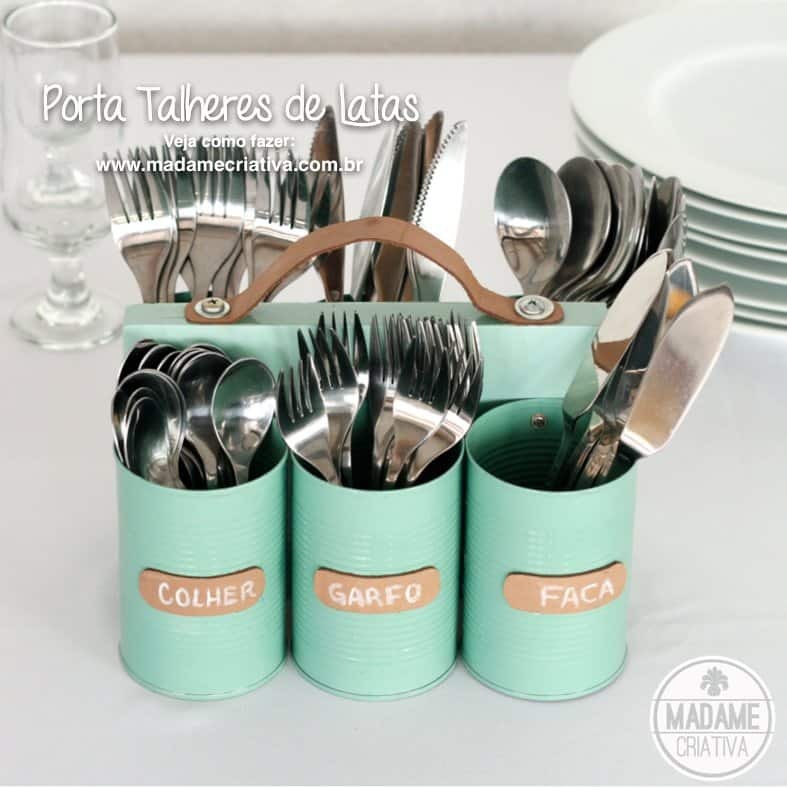 We love the way Madame Criativa painted and attached several tin cans to create a cutlery caddy with a leather strap handle. If you’re going to turn something seemingly ordinary that doesn’t seem useful anymore into something totally new, would you rather take it a step further than just a coat of paint? 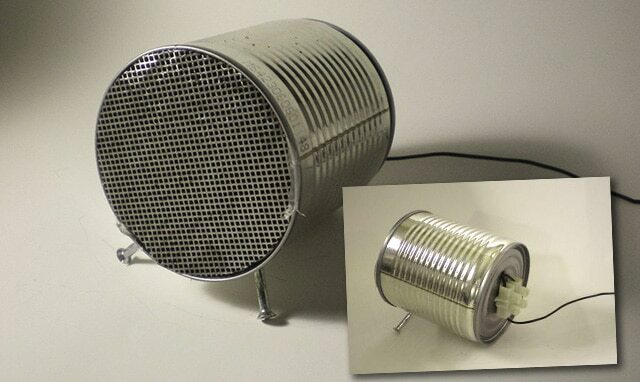 Then we have a feeling you’re going to adore this idea from Wired that shows you how to transform simple tin cans into speakers that actually work! Okay, so technically this project doesn’t actually involve turning your tin cans into something else like the others, but you’re still using them to create something so that still counts, right? 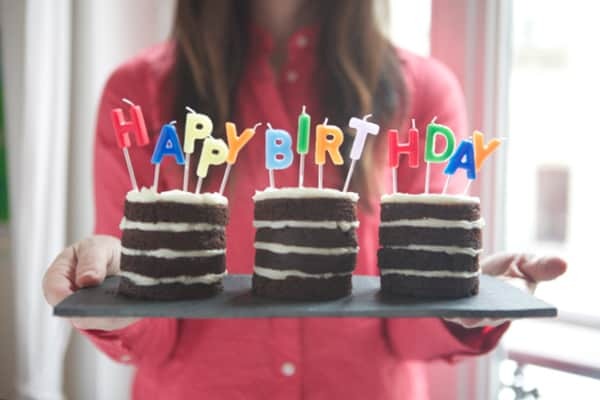 Take a better look at Oh Happy Day to see how they made these adorable stacked cakes that were baked inside tin cans to get their towering shape. 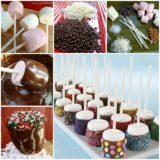 Each one is like a personal birthday cake! 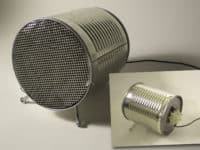 Have we actually really caught your attention with the idea of giving your tin cans a whole new function but you’re just not sure you’ll use a set of small speakers? 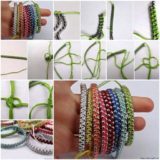 Well, if you’re also a food enthusiast besides being an avid crafter then we think you might find this tutorial from The Nerdist rather intriguing indeed. 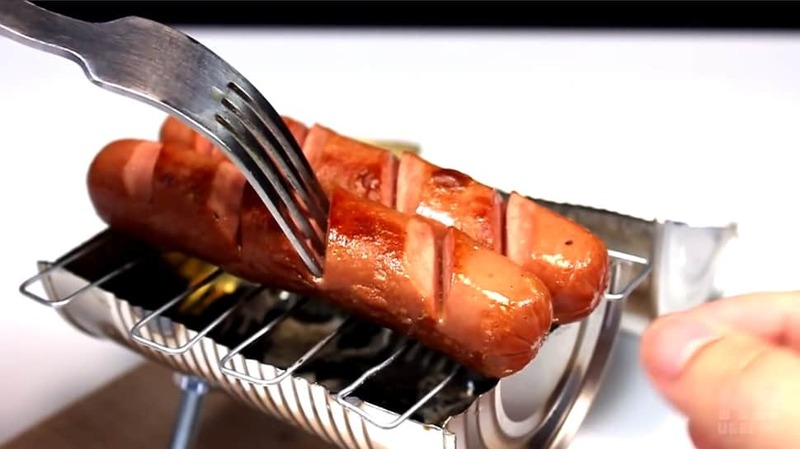 They guide you through the simple steps of splitting your tin can in half and turning it into a miniature grill that’s the perfect size for things like hotdogs! 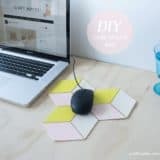 Have you actually been able to pass on your love for DIY projects and all things crafty to your kids, so now you’re always on the lookout for neat projects that you can make with them, even on busy days when you’re strapped for materials? 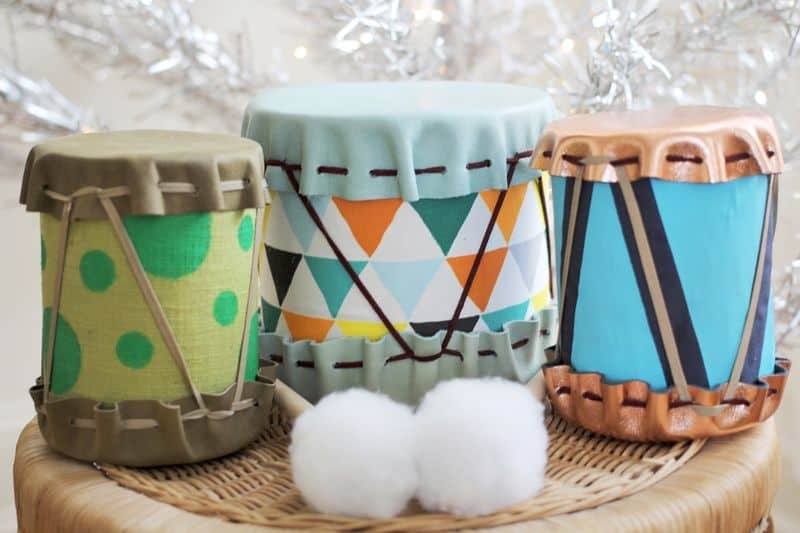 In that case, these adorable little drums outlined step by step on A Beautiful Mess are right up your alley. 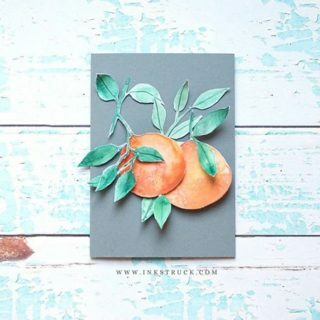 Take a better look at their tutorial to see how they’re made from tin cans, elastic bands, and scrap fabric! 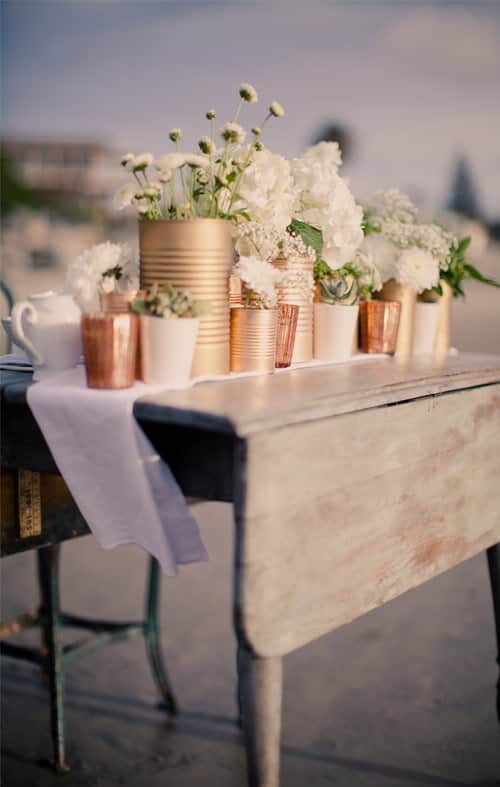 Believe it or not, flowers aren’t the only things you can keep standing using tin cans. 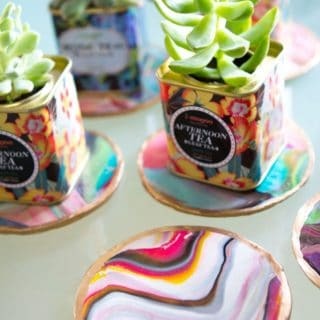 These fantastic candle pedestals make great centrepiece and side table decor as well! 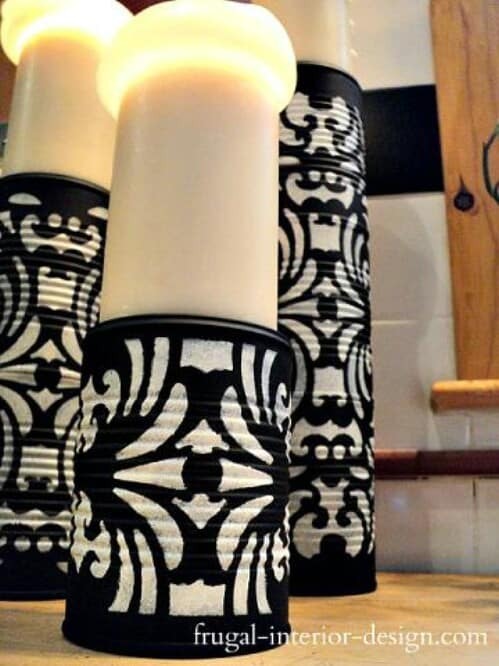 Frugal Interior Design shows you in detail how they made these lovely black and white stencil patterned pedestals before setting and lighting their candles. When we started talking about things you can make with tin, did you actually have your heart set on the idea of working with the material in more abstract way that just transforming a can in its regular form? Then maybe you’d get along a little better with something like this fantastic tin can scrap flower that 1655 Cris cut, layered, and painted to make leaves and petals. 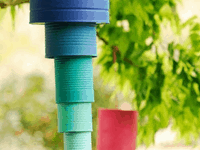 Are you still scrolling through our list and thinking about the concept of giving your tin cans new practical functions, but you just haven’t seen the design that quite calls your name yet? 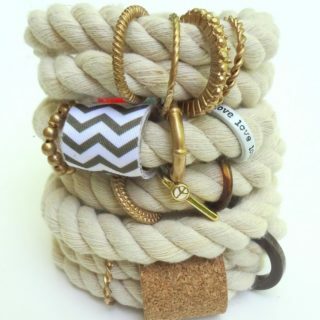 Then here’s an alternative project for your consideration! 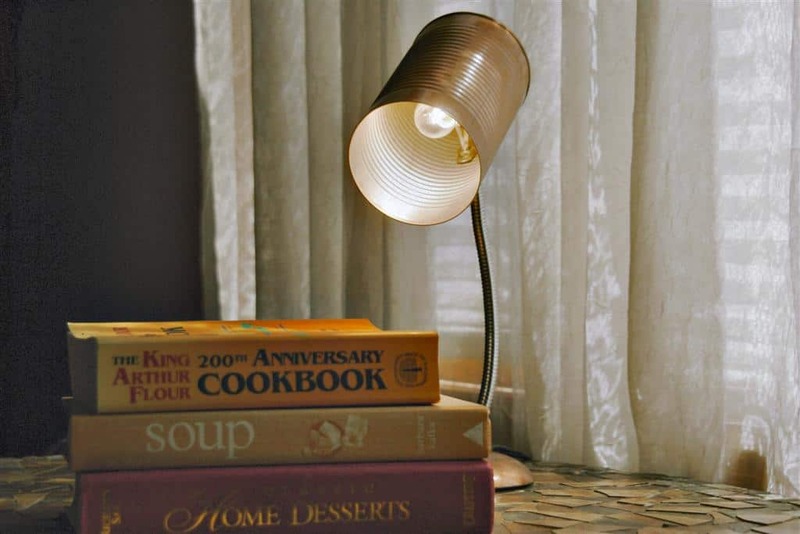 We adore the way Those Northern Skies actually created a fully function desk lamp that uses a tin can as its shade. 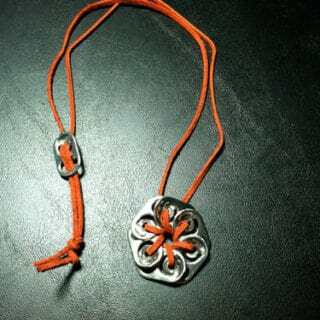 Did we really catch your attention when we started talking about not just crafting more abstract things out of tin but actually specifically making flowers, but the previous idea just looked a little too “craft-like” for what you were imagining? 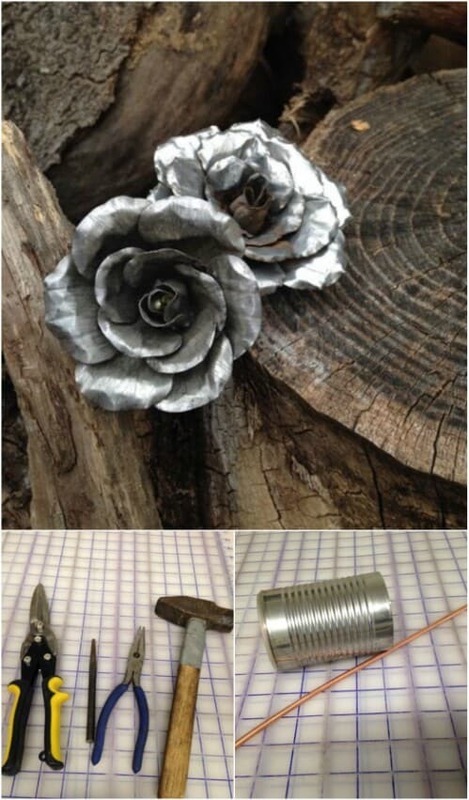 In that case, we’d definitely suggest taking a look at how Instrcutables used various tools and careful techniques to skillfully turn a simple tin can into stunningly delicate looking metal roses. 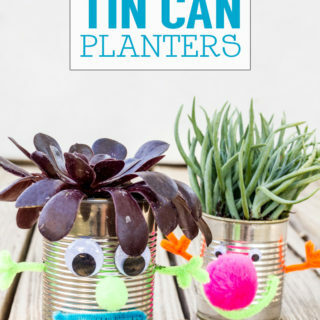 Just in case you’re actually quite interested in the way tin cans can be transformed with more simple crafting tactics, here’s another suggestion from Molly Mell that we kind of can’t get enough of! 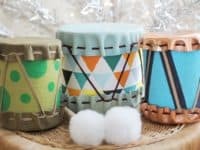 They suggest using fabric decoupage and embellishments like appliques, pearls, and beads to make very cute and decorative storage jars that you can use all over the house to hold all kinds of trinkets and things. 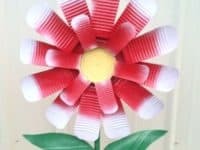 Speaking of projects that you can do with your kids and crafts that use things you probably already have around your house, this tutorial from Happy Mrs C ticks both of those boxes! 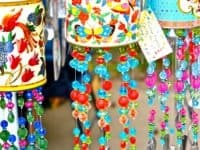 They’ll teach you step by step how to make some fun, easy wind chimes using a tin can decoupaged in decorative paper as the base and stringing it with beads to add character and old cutlery to make that classic chiming sound. 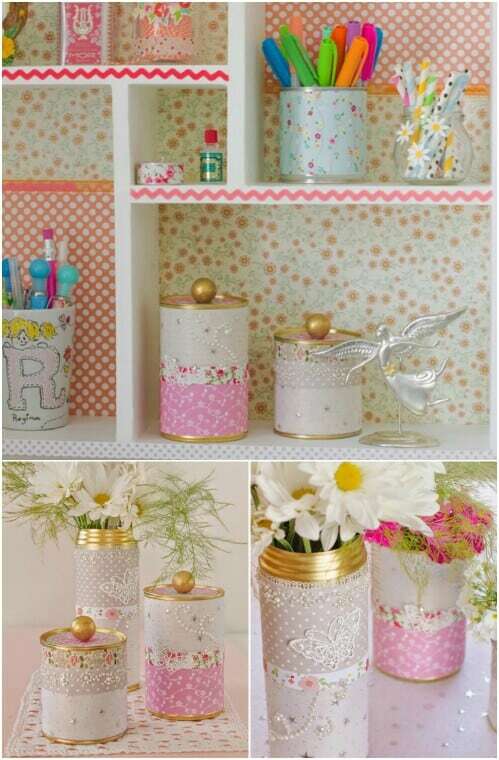 Small, soup-sized cans aren’t the only kind of tin cans you have to stick to when you decide to try crafting with tin! 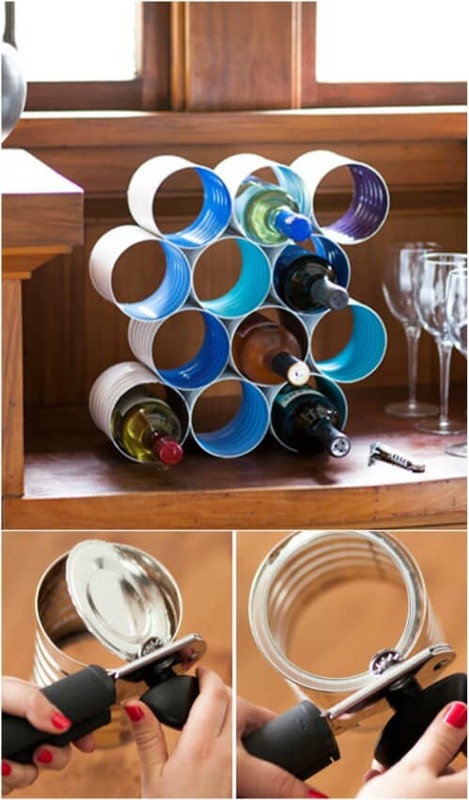 We’re actually big fans of the way Brit + Co. used their larger cans, like coffee cans, to create an entire wine rack! 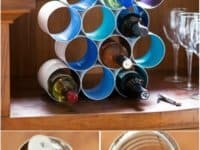 Their tutorial guides you step by step through their process of painting, stacking, and affixing the cans to give you all kinds of cylinders to slide your wine bottles through. 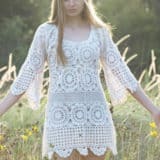 Have we actually caught your attention with more than one concept on this list but you’re having a bit of trouble deciding which of the crafts you’d like to make most? Well, who ever said you have to choose? 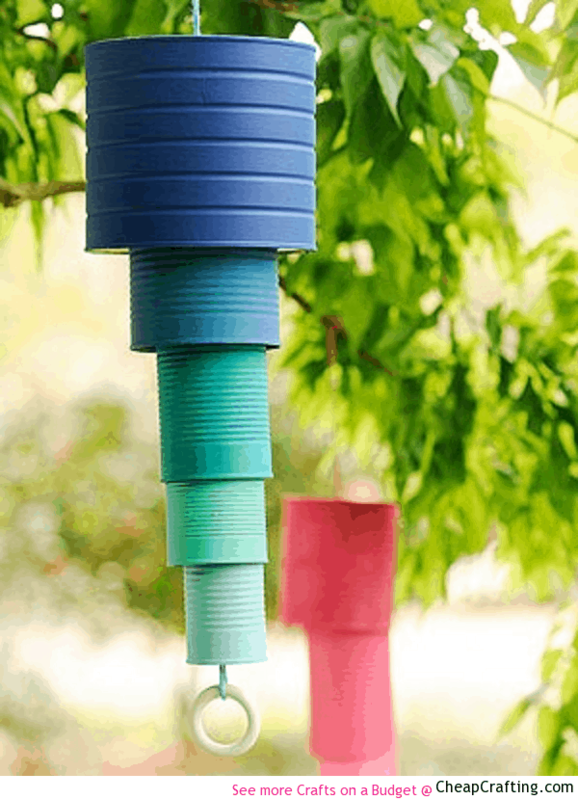 Instead, take a look at this tutorial from Cheap Crafting that shows you how to make alternative wind chimes that also let you not only paint tin cans, but use cans of all different sizes too! 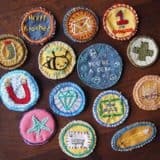 In our house, some of the most popular crafts and DIY projects are those that our kids can not only help us make but also continue playing with after we’re done. 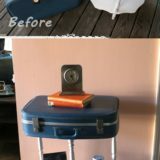 That’s why this awesome tin can toss game outlined step by step on See Jane Blog was such a hit! 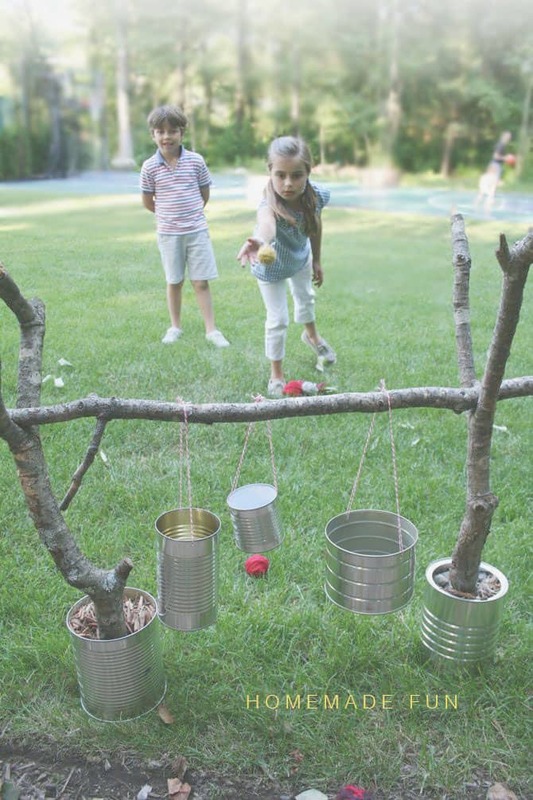 Their tutorial shows you how to set it up using cans of different sizes and some sturdy tree branches.